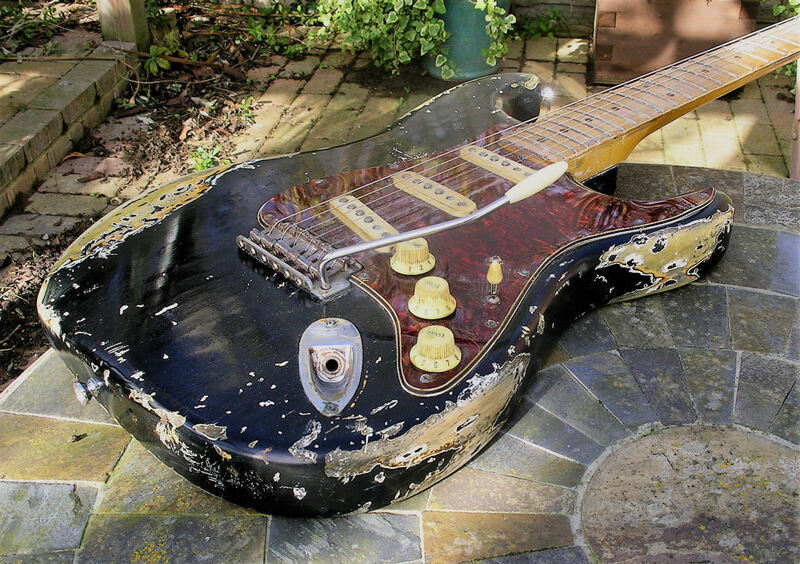 Let's just say opinions differ regarding relic'd guitars! 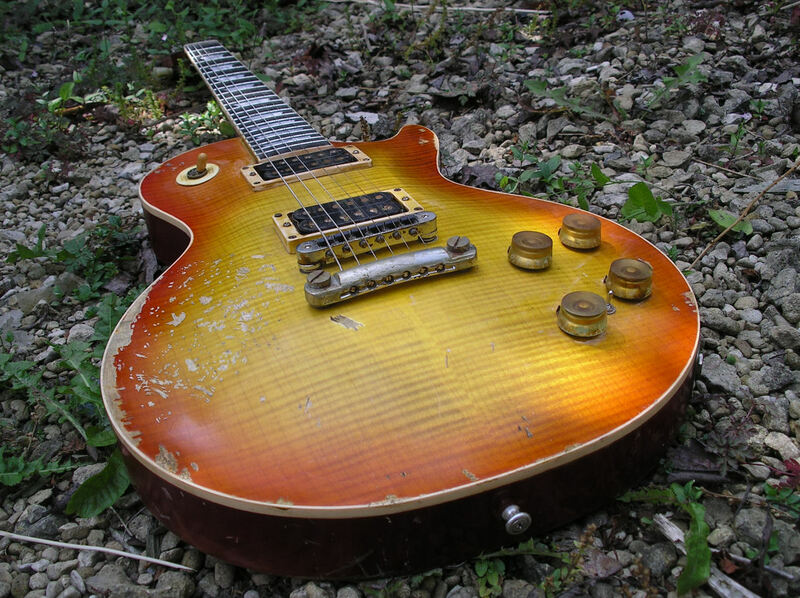 Some people love them, some hate them. 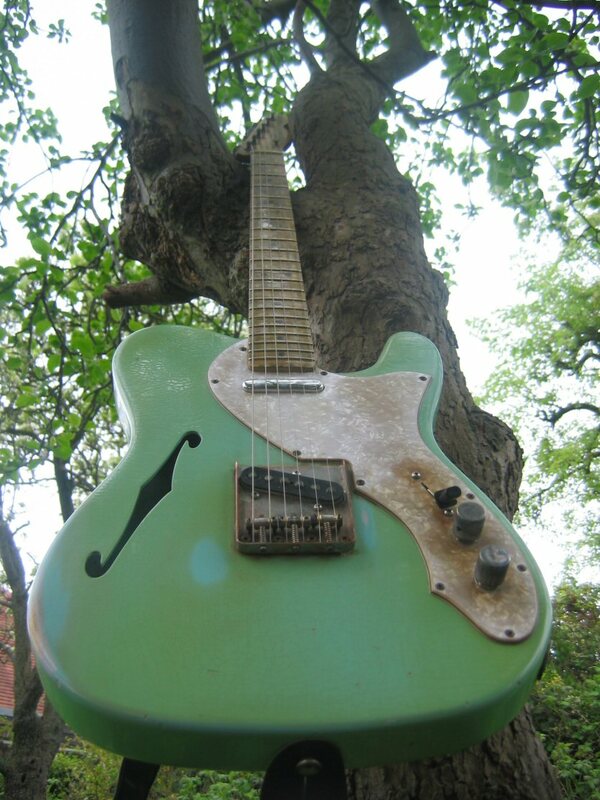 As for me, I suppose you can gather I love them! 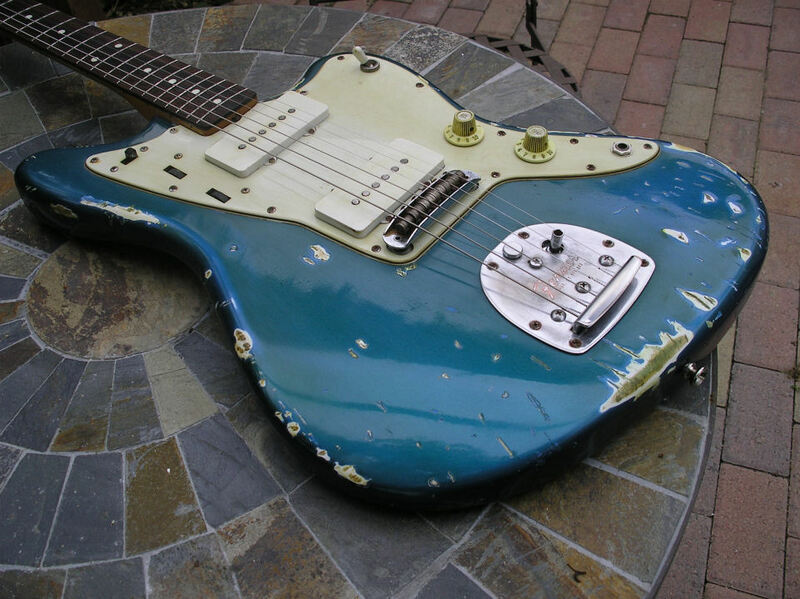 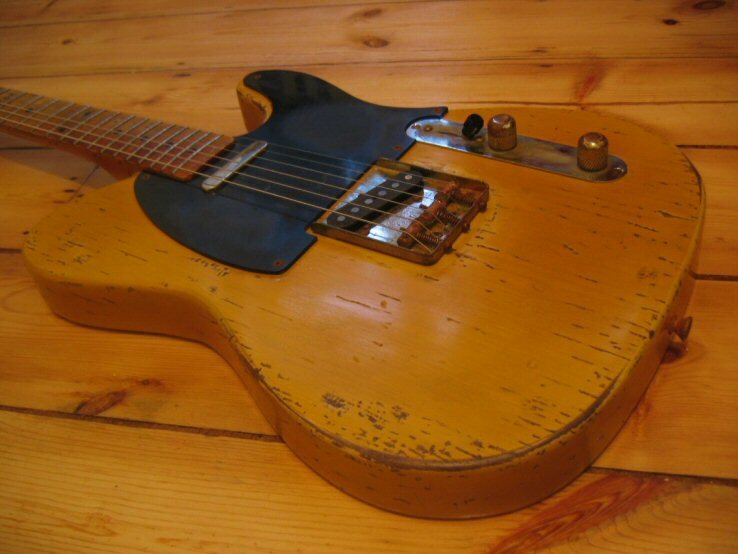 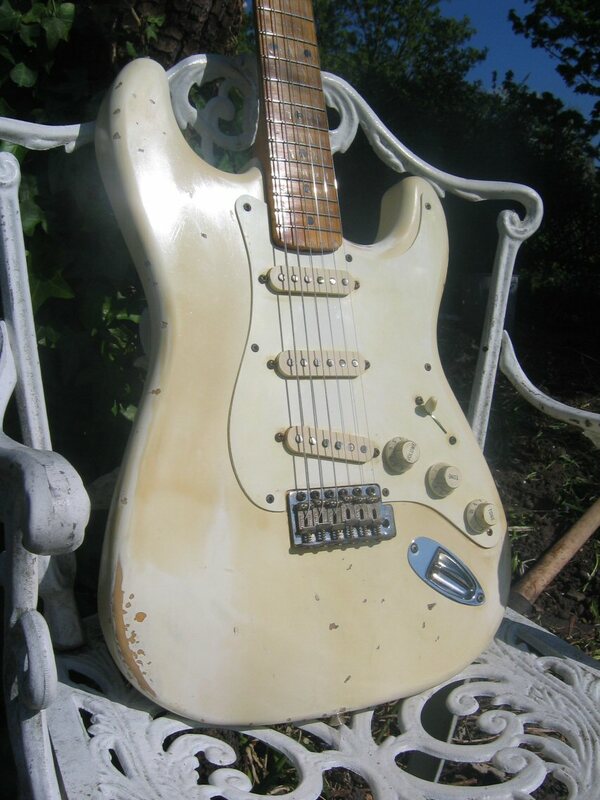 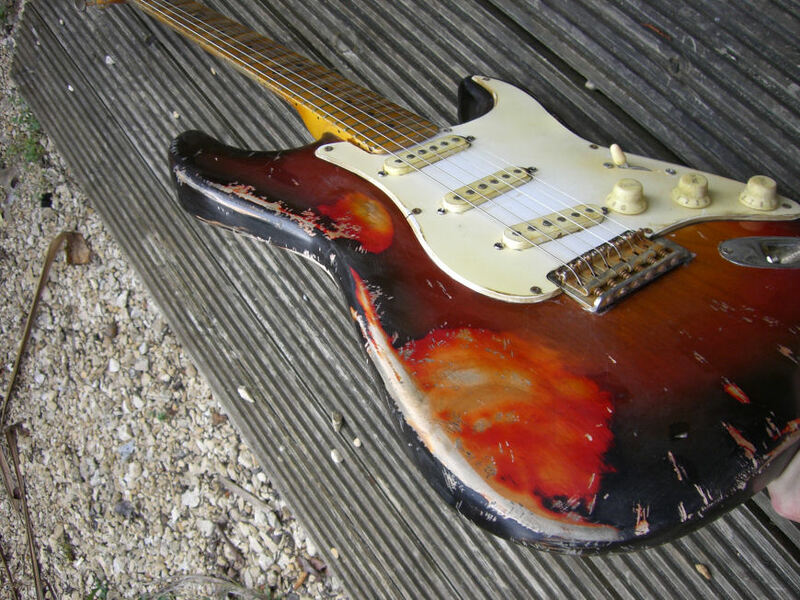 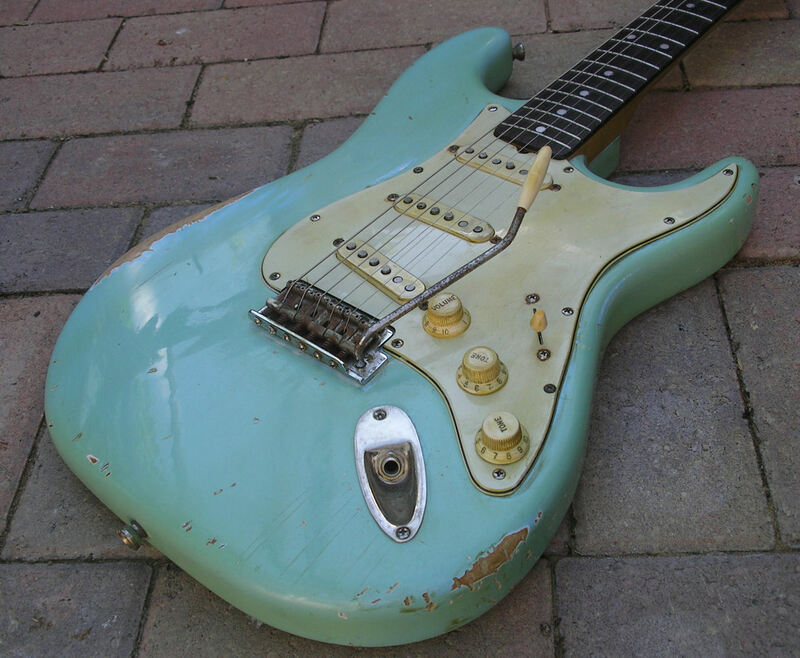 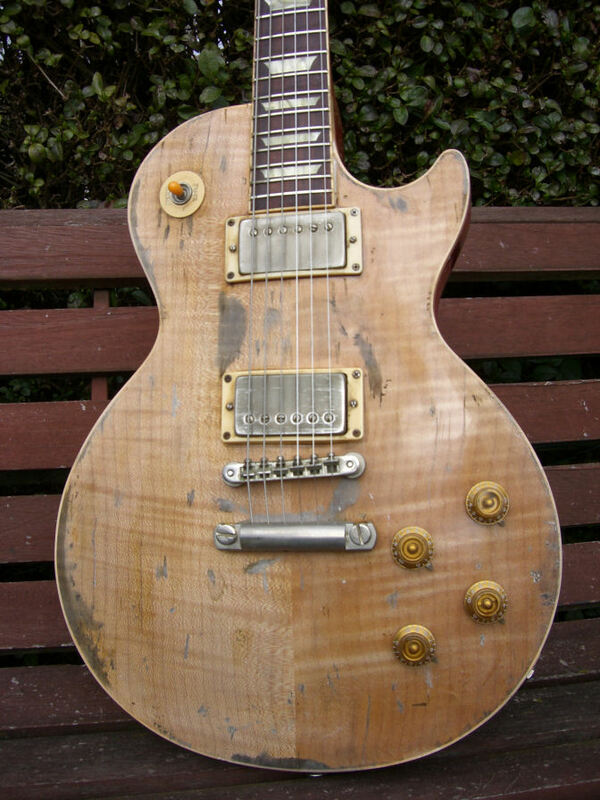 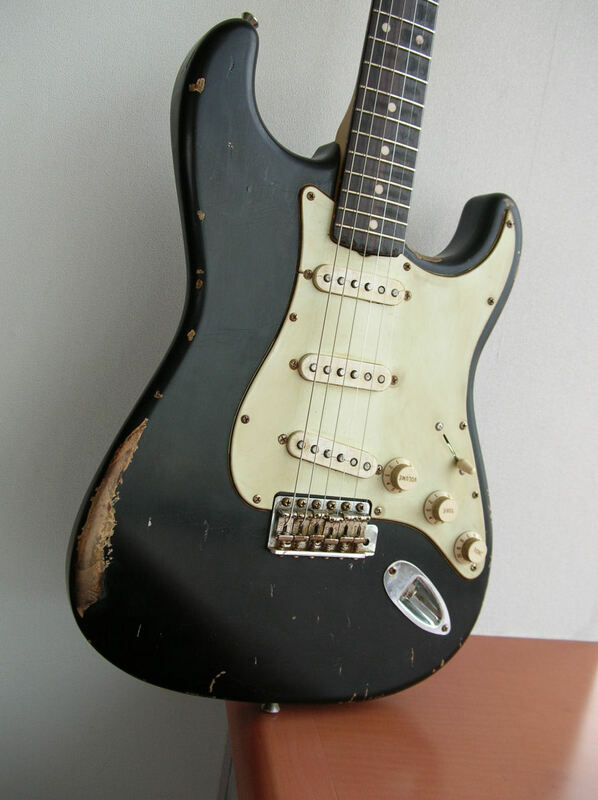 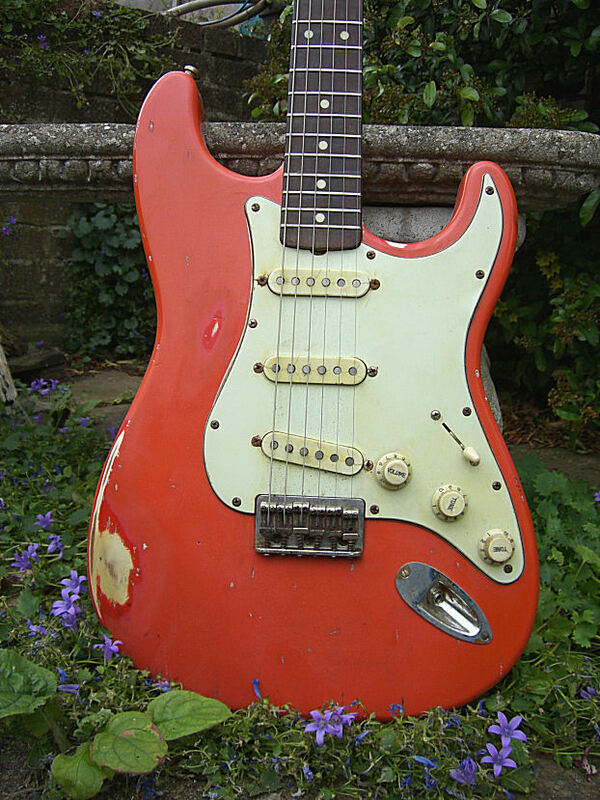 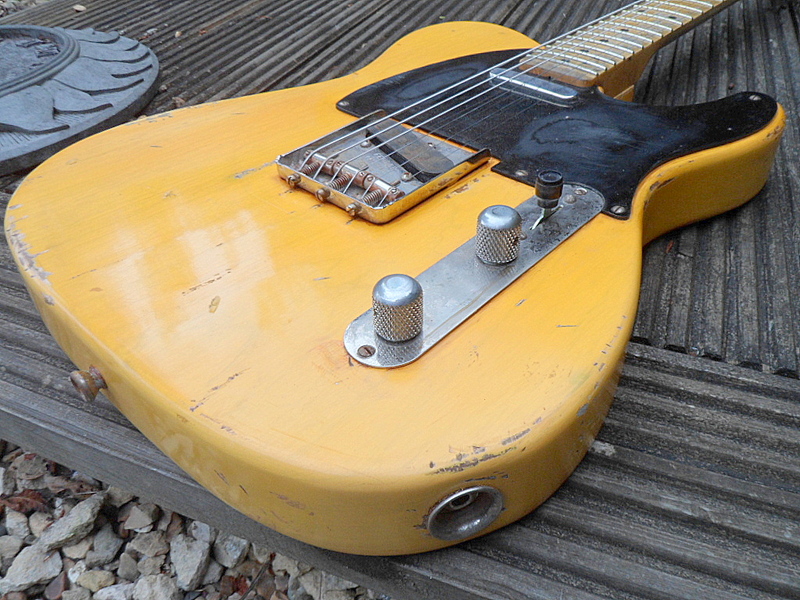 In my view, a genuine battered Tele or Strat looks great. 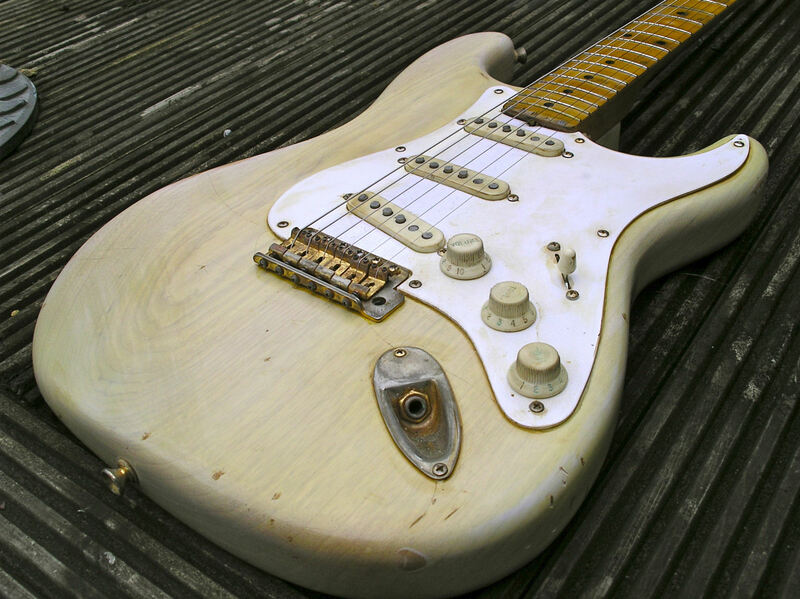 But there's a BIG problem......If you want the real thing then you need a LOT of money. 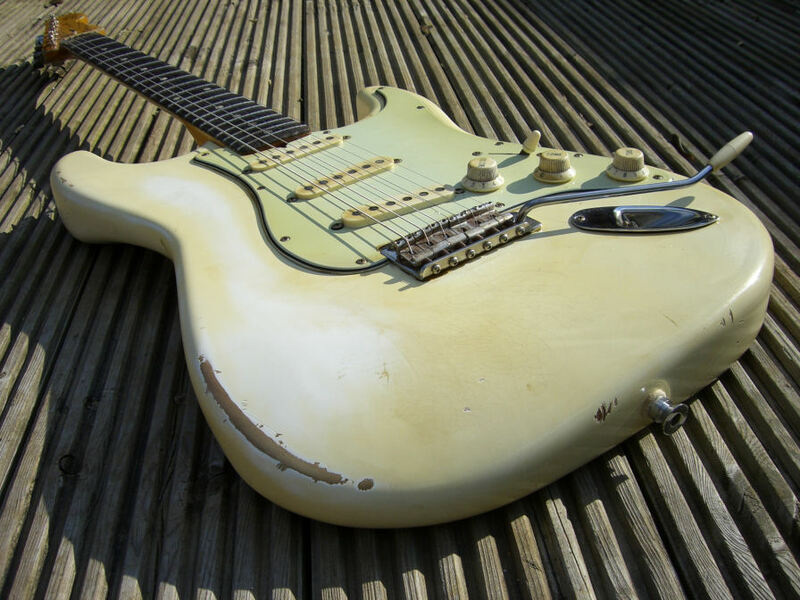 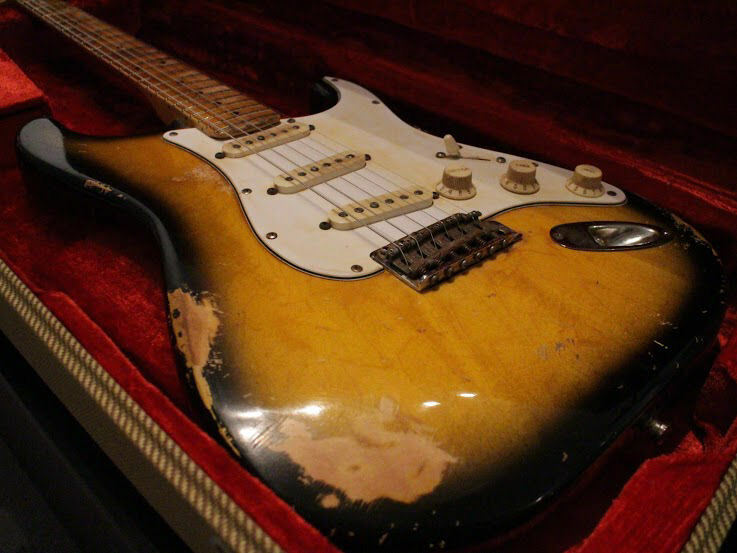 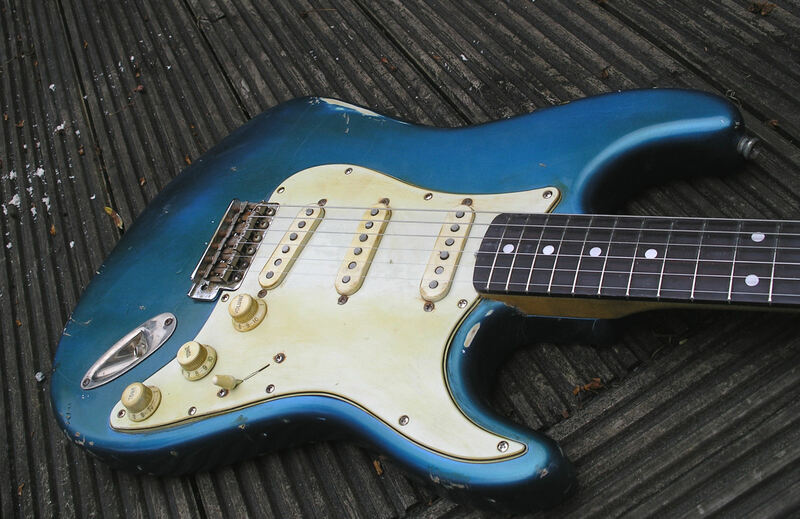 Nowadays a mid-'60s Strat is going to set you back thousands, maybe tens of thousands of pounds. 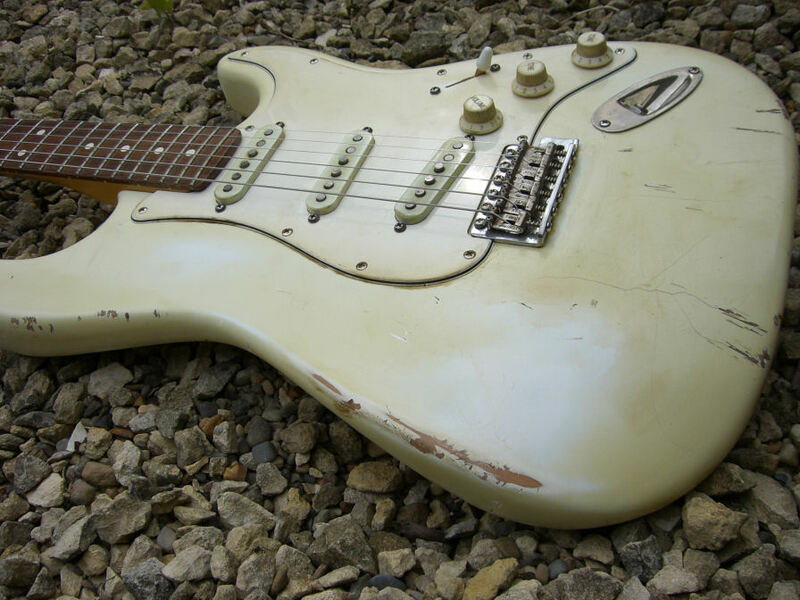 Are they really worth that? 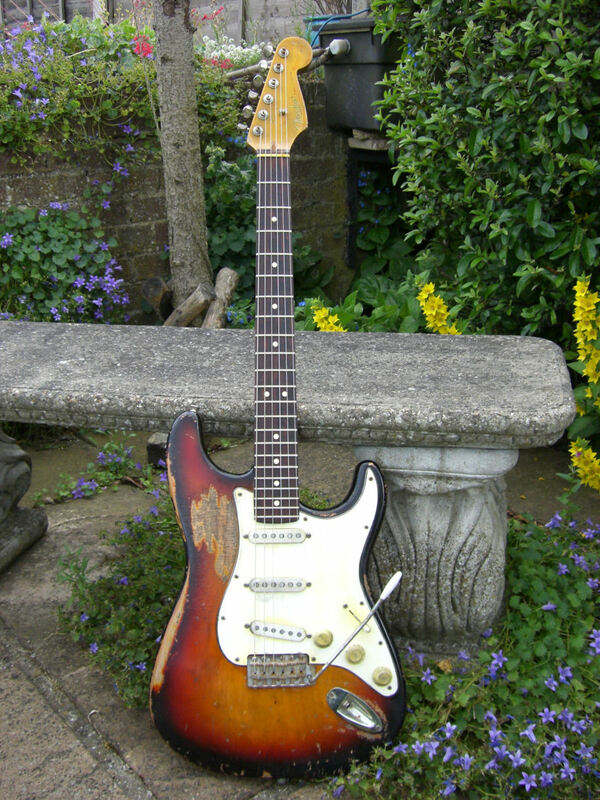 I suppose while some people are willing to pay that much, they'll continue to rise in value. 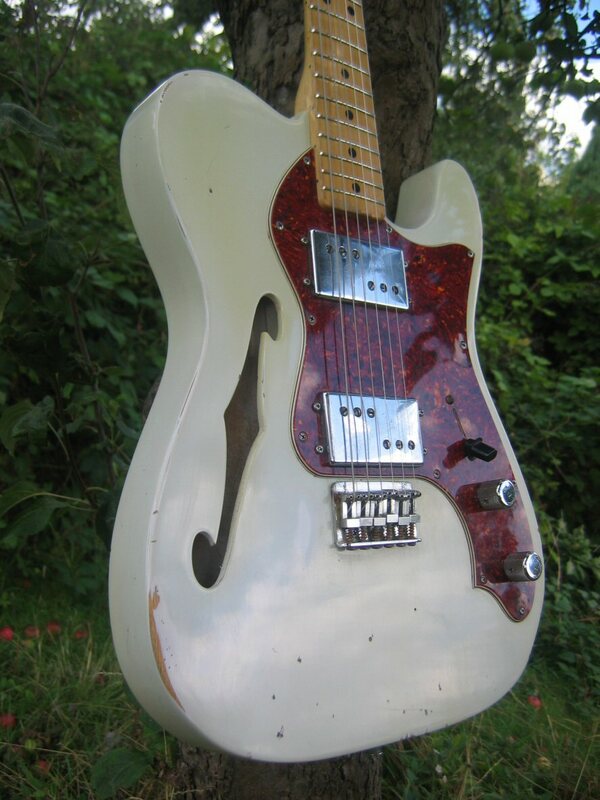 If I could afford one I would buy one without a doubt, BUT I can't .........yes its a shame, puis c'est la vie! 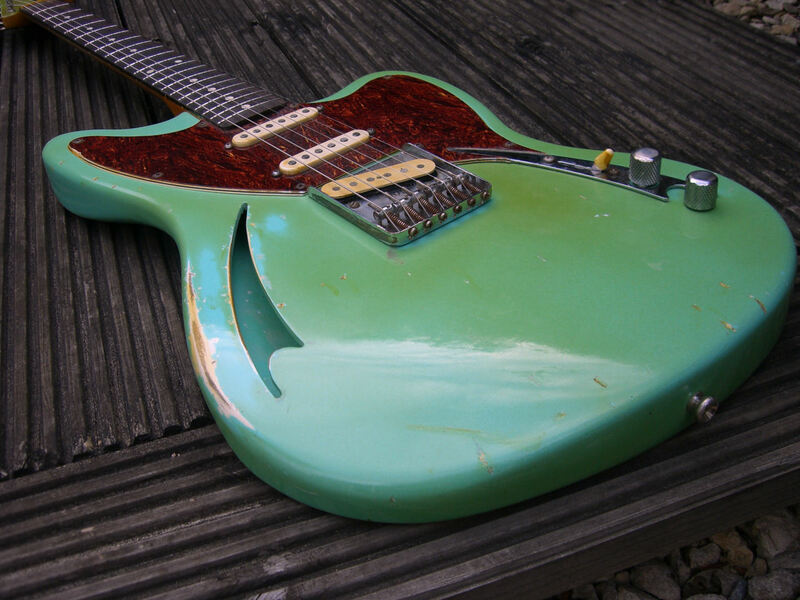 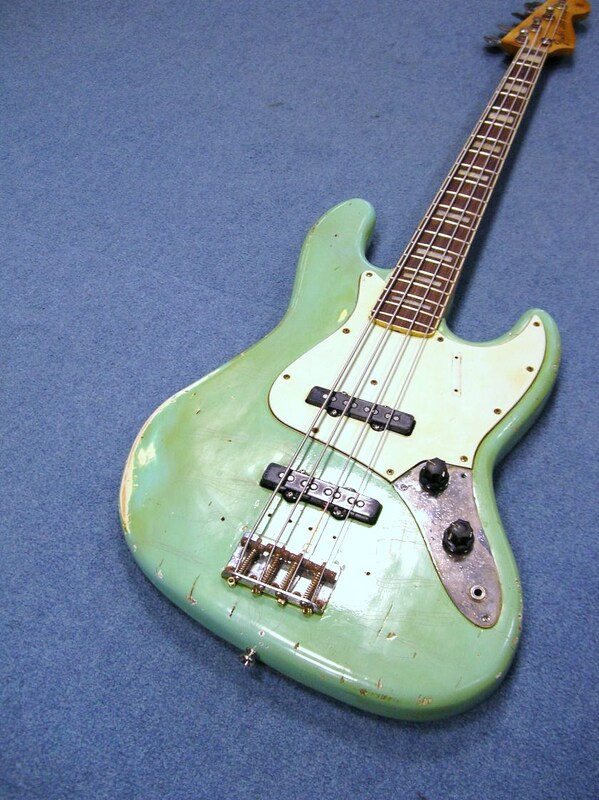 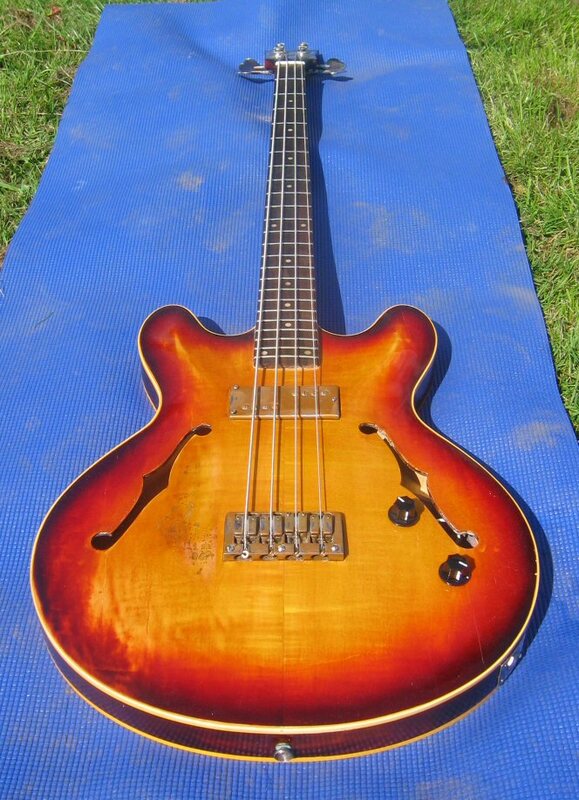 Even if I could afford one I don't know if I'd want to risk taking it to gig, and what a shame that would be. 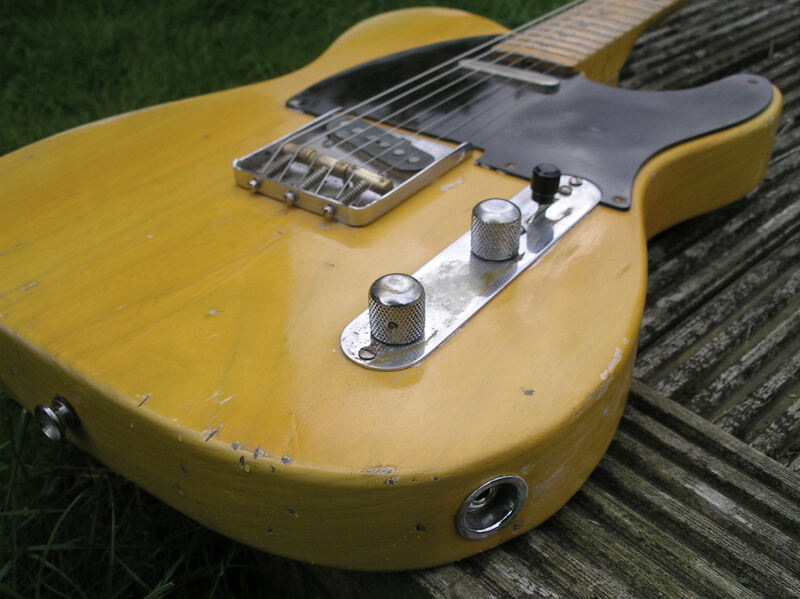 There is a silver lining to this cloud, though; having spent many years building guitars, I decided it was time to turn my attention to building relic guitars. 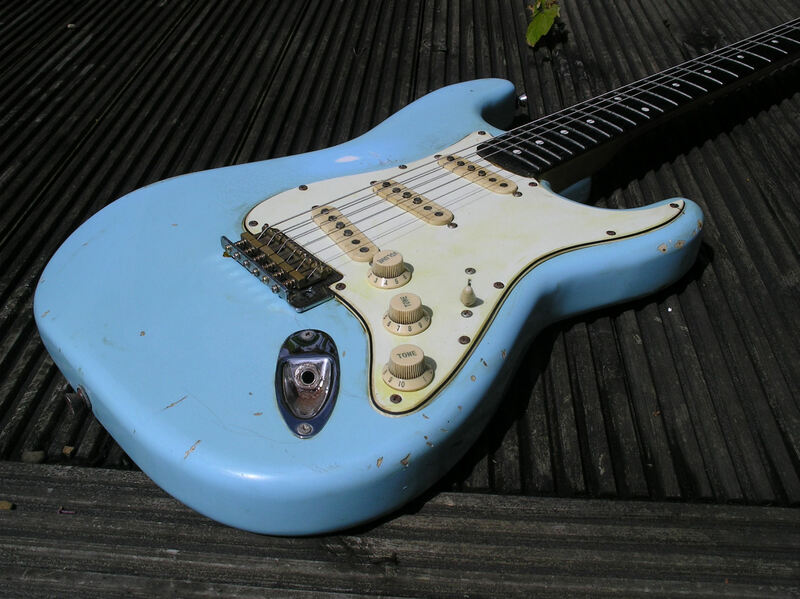 Below are a few examples of the effects I have achieved. 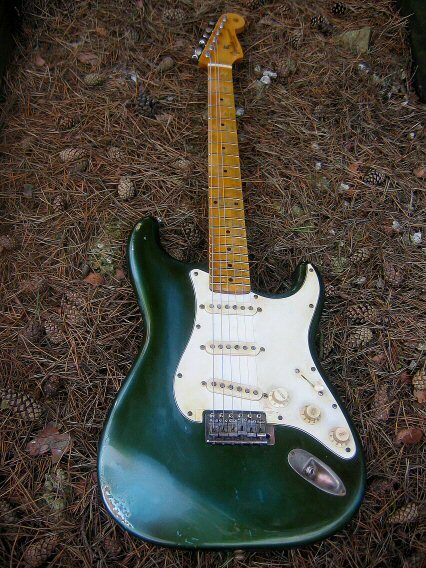 Let's get one thing straight though....I do NOT fake guitars. 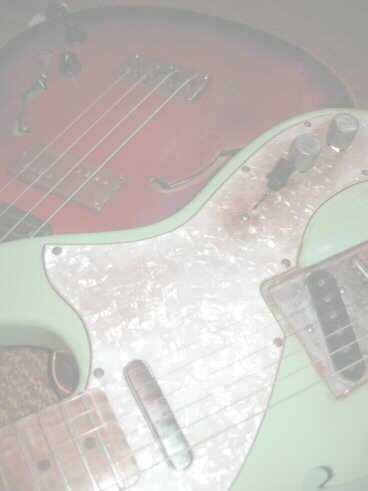 Fenders are Fender's, mine are mine and I love them both. 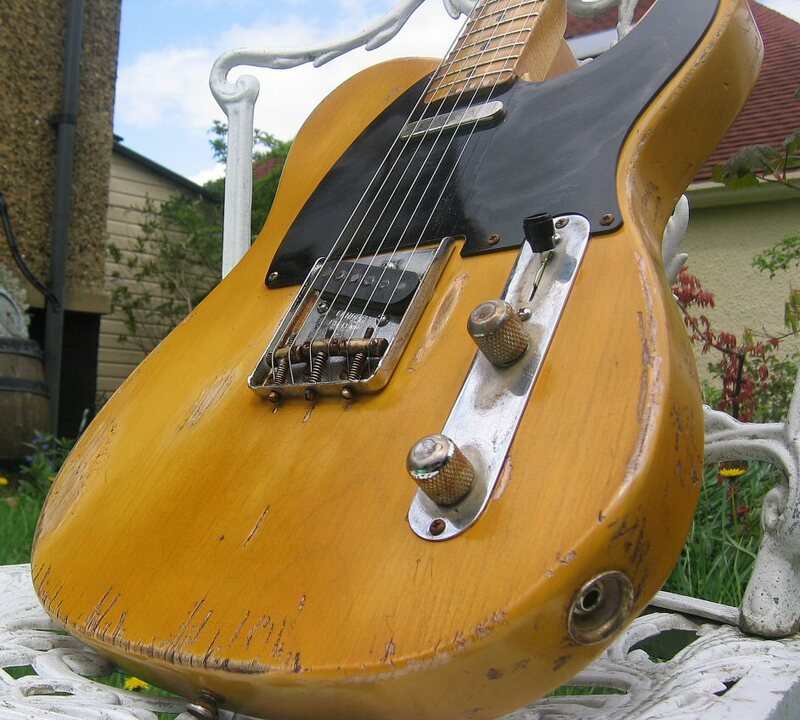 Every guitar is built as close to vintage specification as possible using the correct materials, both wood and hardware, even down to traditional cellulose lacquers. 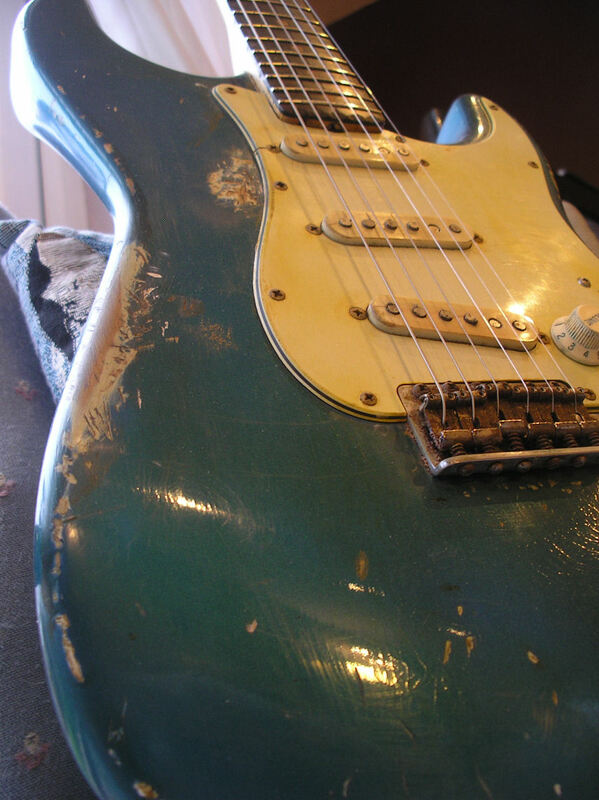 Nearly all the work is done by hand, including sanding and polishing. 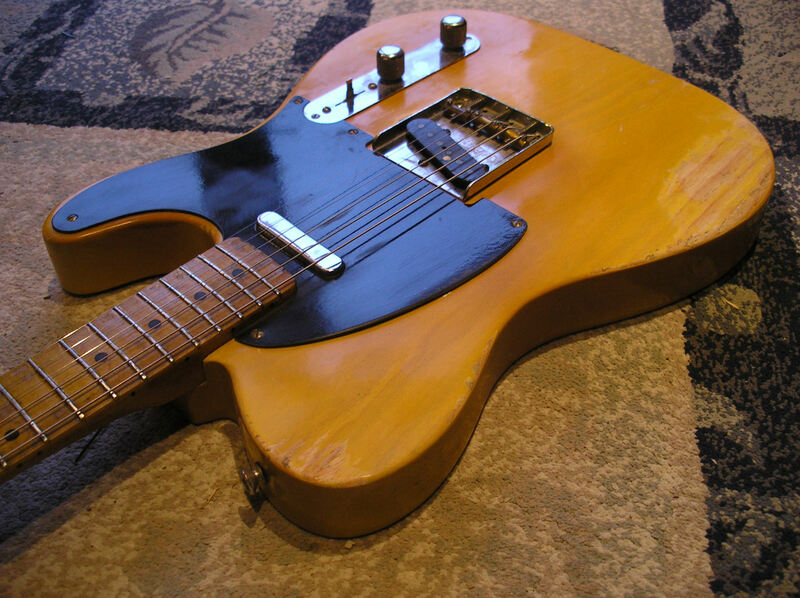 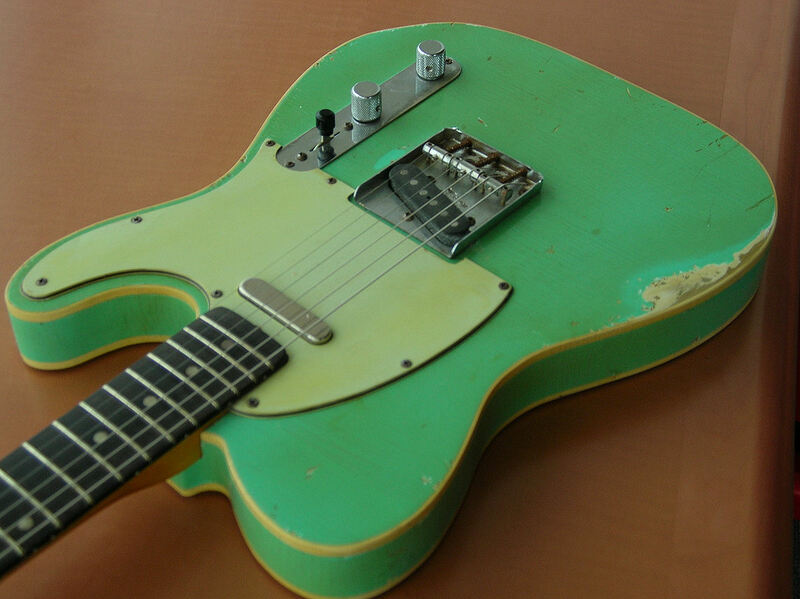 This gives each guitar a hand-built vintage feel.